I'm super excited (and nervous). 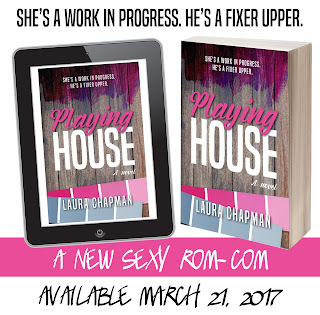 In exactly one week, my new novel, Playing House, will be in your hands to read. Ack. 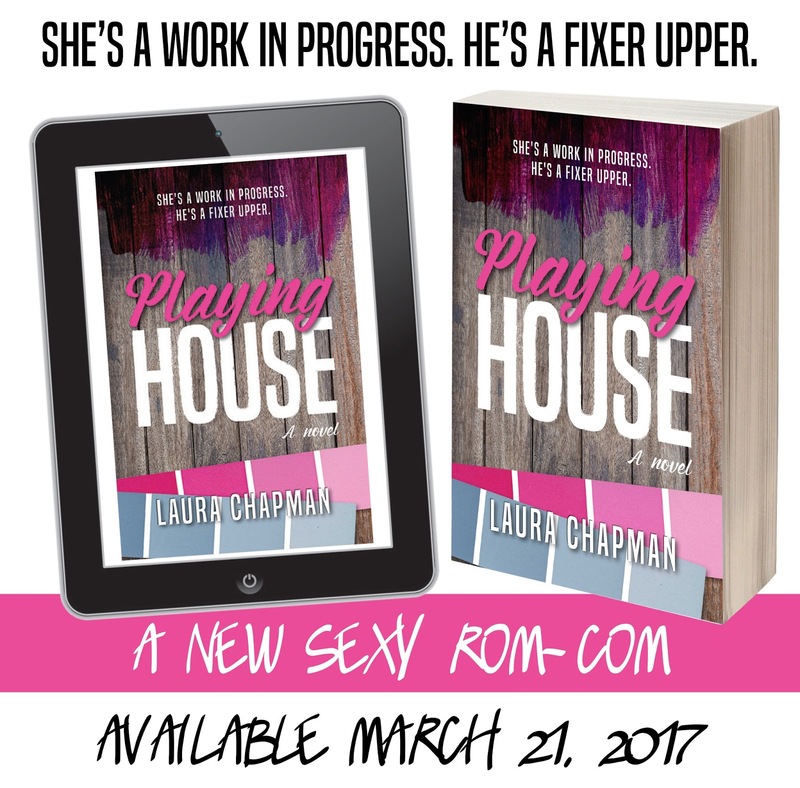 It's the romantic story I came up with after a weekend of serious HGTV binge-watching. I hope you love it. In the meantime, here's an excerpt of the book to give you a taste. In this scene, Bailey is on-set for her first real day of filming. Even though she's supposed to mostly be a background player, she's given a chance to see how she does on camera. What was that even supposed to mean? Bailey would have asked, but Renee had already turned to chase after Waverly. She probably wanted to keep Waverly’s call to ten minutes if possible. Well, fine. Bailey could figure out what she meant by “pithy” on her own. She’d start by googling “pithy.” She was so absorbed in reading the definition—“concise and forcefully expressive,” which so wasn’t her—she almost didn’t notice Wilder staring at her. Rather than give an outright answer and admit she was terrified, she gave a half shrug. Pithy. She probably needed to come up with some clever, but not show-stealing, lines to say on camera. She could still feel his eyes on her, even though she tried ignoring him. It was easier not looking into the camera lens than it was to pretend she didn’t notice how well he looked with a tool belt slung around his hips. It was particularly difficult with him standing there with his thumbs hooked into his distressed jean pockets. She pulled off one of the pieces to reveal an original late nineteenth-century hearth. Wilder let out an appropriate whistle. “Hot damn.” And impressively, he sounded legitimately thrilled and tickled considering he and Felix were the ones who’d discovered the hidden treasure during their preliminary walk-through. “I did?” She couldn’t seem capable of more than parroting small phrases.